Posted in: JConcepts, Radio Control. Tagged: New Releases, Racing, RC, Upgrades. 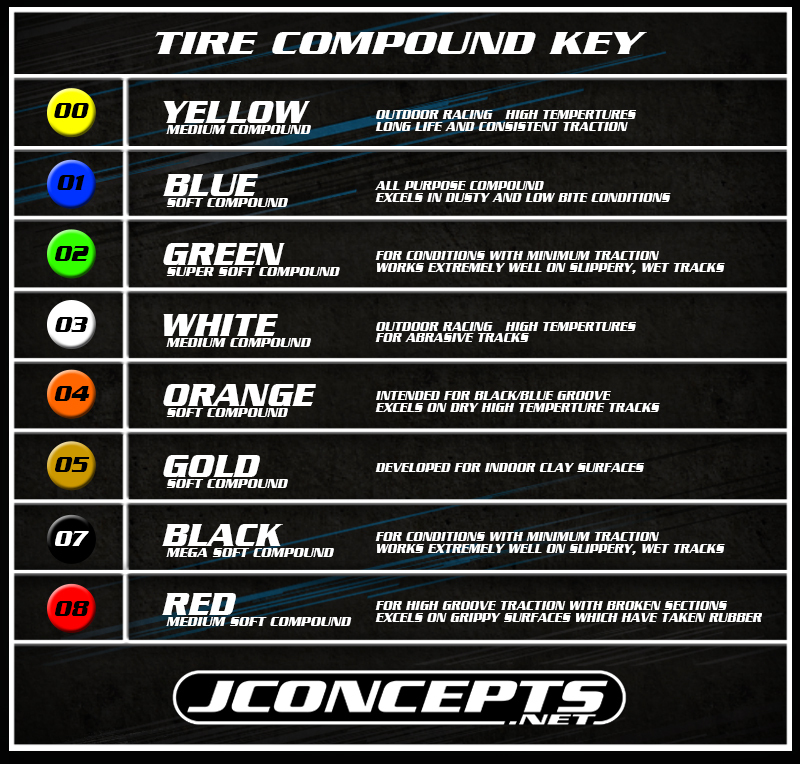 JConcepts has added a new compound to their line of 1/10th off-road racing tires. The Black compound, was designed to produce the softest feel in the JConcepts line. The Mega Soft (Black Compound) is ideal for minimum traction and works well on slippery, wet tracks. The JConcepts line of tread patterns such as Bar Codes V1, Bar Codes V2, Double Dees, Pressure Points, Rips and 3Ds are available in a variety of different compounds to match your racing conditions. More info on the JConcepts Blog.